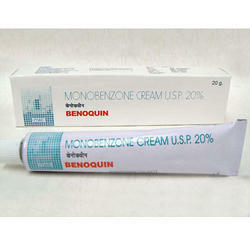 Prominent & Leading Exporter from Mumbai, we offer mupinase - mupirocin ointment cream, benoquin cream and monobenzone cream. MUPIROCIN is an antibiotic that prevents bacteria from growing on your skin. Bactroban topical (for use on the skin) is used to treat skin infections such as impetigo or a "Staph" infection of the skin. We are a leading entity, occupied in presenting a wide range of Benoquin Cream. Furthermore, our customers can avail these products from us at reasonable prices. In series of delivering world-class products, we offer an exceptional array of Benoquin Cream in the industry. Backed by our prosperous industry acquaintance, we present Monobenzone Cream. This product is obtainable in varied patterns that meet on patron’s demand. Benoquin is a depigmenting agent, prescribed to permanently lighten skin in people with vitiligo.